Rumor has it that Adele will be spending Thanksgiving with actress Jennifer Lawrence now that the two are practically neighbors in the city of Los Angeles. The Hello hitmaker had also received invitations from Ryan Tedder as well as Robbie Williams, but the star has reportedly made her decision. An insider revealed to the Daily Mirror newspaper: “Adele wants to really throw herself into the American life now that she has a base here. Her plans to get to grips with the Thanksgiving celebration which is a far bigger deal than Christmas in the States. Meanwhile, partner Simon Konecki – who shares a three-year-old son with the singer – will be splitting his time between California and the UK. A source recently said: “Adele and Simon’s relationship is as strong as ever but it’s a little unusual as they have always moved between a number of houses. 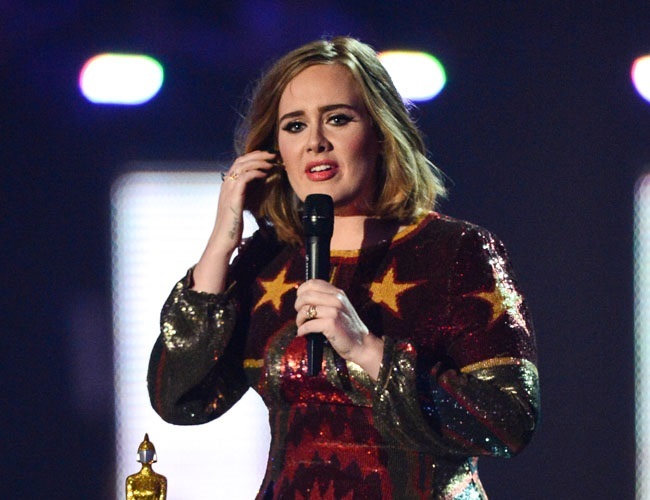 Adele, who is currently on a world tour, recently claimed that the lack of smoking has negatively affected her vocal cords and weakened her voice.